Nursing students all over the country are experiencing difficulty with paying their tuition fees but a little help can be found in applying for – and being awarded – non-refundable scholarships and grants. There are those grants and scholarships that can be awarded to nursing students across the country and then there are those that are state-specific. Georgia is no exception to this rule and there are several scholarship and grant programs that are available only to those nursing students who currently reside in Georgia. Some of these programs are even more specific and their eligibility requirements include that students must also be planning to work in Georgia health care after they graduate. Further eligibility requirements vary from program to program and relate to matters like whether students are members of specific nursing organizations, their previous and current academic history and what level they are currently studying at. Scholarship programs are funded and administered by entities like special interest nursing organizations, universities and colleges as well as memorial trusts. Students who are interested in applying for one or more scholarships and grants should review the options mentioned below and, as this list does not include all available programs, should then do some further research on their own. The Internet is an extremely useful tool in this regard and students should start off by reviewing the websites of other Georgia nursing schools, educational institutions and nursing organizations. Administered and funded by the American Association of Nurse Anesthetists (AANA), this scholarship offers one award of $1,000 per year to Georgia residents who are also nursing majors. Applicants must be enrolled in an anesthesia program that is accredited by the AANA. Further factors that will be taken into account when selections are being made include involvement in school and community projects and academic achievement. Interested parties can request further information about this program from the Association at 222 South Prospect Avenue, Park Ridge, IL 60068 (tel: 847-692-7050 and website: www.aana.com). Applicants must file several documents along with their application form, including 4 separate letters of recommendation, their high school and college transcripts, an essay on why they want to practice in the nursing field and a statement showing their financial situation. Inquiries concerning this scholarship program can be addressed to the American Legion Auxiliary, Department of Georgia, 3035 Mt. Zion Road, Stockbridge, GA 30281 (tel: 678-289-8883 and website: www.galegion.org). Students who are non-RN applicants must already have completed at least one year’s study. Preference will be given to those students who are taking a RN to BSN completion course, who plan to work in health care in Georgia after graduation and who are enrolled in a school in Georgia. 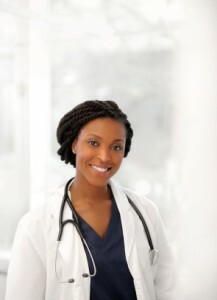 If they are interested in obtaining further information regarding this scholarship program, students can contact the Georgia Nurses Association at 3032 Briarcliff Road, Atlanta, GA 30329 (tel: 404-325-5536 and website: www.georgianurses.org). Applicants have to file two letters of recommendation that talk about, among other things, the student’s potential for success in practicing nursing. Priority is given to those students who are enrolled in a Georgia-based educational establishment and who plan to practice in Georgia after graduation. Students with any questions concerning this scholarship program may approach the Georgia Nurses Foundation directly care of the Georgia Nurses Association (3032 Briarcliff Road, Atlanta, GA 30329; tel: 404-325-5536; website: www.georgianurses.org). My name is Andrea Young and I’m currently a senior at the Academy of Richmond County High School. Since I was a little girl, I’ve always wanted to be a Lawyer or a Medical Doctor but, I always used to think, “How would I pay the tuition?” As I got older I started to realize that scholarships are a big help. I can’t wait till the day I saved someone’s life.